We are proud to welcome all service members and Veterans and we thank you for your service. William Woods University is dedicated to continuing our long-standing partnership with military and veteran service members throughout the world. 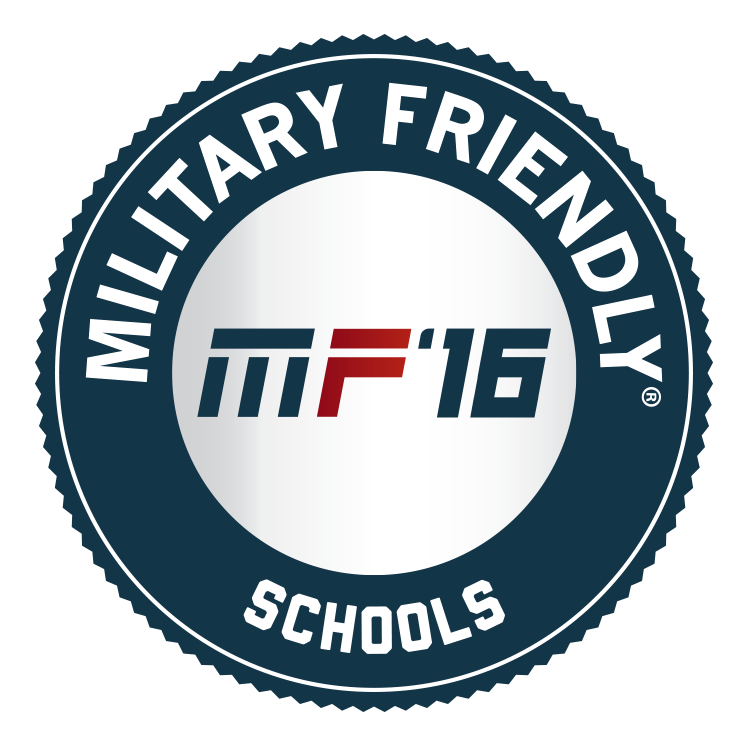 We are honored to be marked as a Military Friendly school for affordability, flexibility and meaningful educational opportunities for military service members, Veterans and their family members. Military service members and Veterans bring exceptional talent and extraordinary experience to the William Woods campus. Everyone at William Woods is very friendly. There’s a camaraderie here that is the closest thing I have to the military. The professors are considerate and flexible, willing to work around my schedule. According to U.S. News and World Report, cost, support services, career services and flexibility are among the most important factors in decision making on a school for veterans — all outstanding components to the William Woods University experience. William Woods’ online and part-time study options, as well as the ability to start and stop as needed provides the flexibility you need to finish your degree as your schedule allows. Our staff is dedicated to Veteran and military service member support. Please do not hesitate to give us a call as our admissions counselors are happy to answer any questions you may have, walk you through the admissions process, or make sure you’re receiving the benefits you’re entitled to. We are proud to participate in the U.S. Department of Veterans Affairs’ Yellow Ribbon Educational Program, which is designed to help military students avoid out-of-pocket tuition and fees that may exceed Post 9/11 GI Bill education benefits. These benefits typically help only on-campus students. Please talk to an admissions counselor for more information, and for the benefits that will meet your needs. All other William Woods University scholarships for traditional full-tiime students are also available to military service members, Veterans and their family members, including the one-of-a-kind $5,000 LEAD award to on-campus students for involvement in specific LEAD events ($2,500 for commuter students). Online and Graduate students enjoy our tuition guarantee — that your tuition price will not increase as long as you are continually enrolled. If you have not applied for benefits, you can do so through VONAPP, the Veterans Online Application. You should use VONAPP if you are a U.S. military veteran, a service member on active duty, a member of the Selected Reserve, a spouse/dependent of a "service connected" disabled or deceased veteran, or a family member that has been approved to receive transferred benefits. Military/Veteran students enroll through the same process as other students. William Woods understand the challenges of military life. Frequent moves, deployments, and transitions can make it hard for military families to focus on the challenges of their own schooling. Let us help you through the process. There are several education benefits available to dependents of veterans as well as surviving family members of deceased veterans. Ranging from scholarships to grants and aid, these benefits are often overlooked. Many of our programs are offered on campus or online, so if you have to move, you will be able to continue your education. William Woods supports military spouses who enroll in a program with us by offering a WWU book scholarship to offset the cost of textbooks. This award is renewable if a spouse remains continuously enrolled. Requires verification of marriage to an active service member.